My 2nd activation of Friday 9th August, 2013, was going to be Richmond Hill, VK5/ NE-089. But by the time I had driven the 4 horus from home to Quorn, and then negotiated the hard climb at The Devil’s Peak, I was running out of time to get back to Quorn to pick up the key for my proposed Saturday afternoon activation of Stokes Hill, VK5/ NE-050, and then drive the 100 odd kms over to Orroroo for the night(where I had booked accomodation for the weekend). 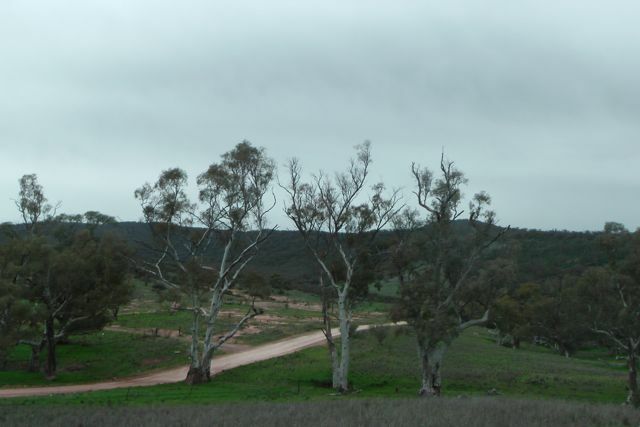 So rather than heading straight to Orroroo , I decided to drive down the Richmon Valley Road a few kms from The Devils Peak, and activate the Mount Brown Conservation Park. I had activated this park before as part of my Mount Brown SOTA activation back in May, but it was such a beautiful spot, that I decided to activate the park again and hopefully allow some of the VK5 Parks Award ‘Hunters’ to get a new park. 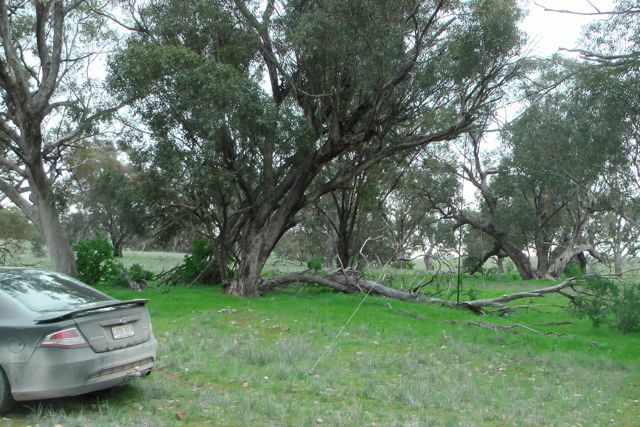 I entered the Mount Brown CP off Richmond Valley Road, and I parked the car at a large rainwater tank and shelter, and then walked over to a large fallen gum tree limb and set up my gear there. This was at the base of my proposed SOTA activation, Richmond Hill. It was really frustrating ! I could see the hill, smell the hill, and taste the hill, but I just didn’t have the 3 hours free to climb the hill, activate it, and get back down. Oh well, plenty of time in the future. 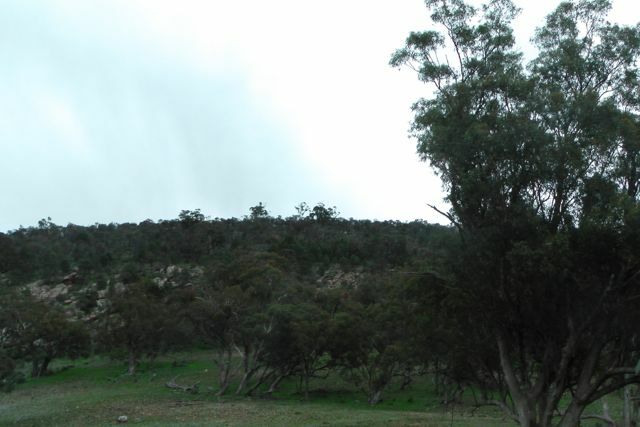 Mount Brown CP is situated about 14 kms south of Quorn. The only access is via Richman Valley Road, which runs south out of Quorn. The Mount Brown summit which is located in the park, is at 964 metres altitude, and is one of the highest peaks in the South Flinders Ranges. Mount Brown CP is a former forest reserve and is comprised of undulating country with a variety of cover grading to rugged ridges with open woodland and scrub. It is named after Robert Brown who was the naturalist aboard Matthew Flinders’ Investigator. I used my yaesu FT-817nd on the 5 watt setting and my 40m/20m linked dipole. I secured the squid pole with an octopus strap to the squid pole holder, and then made myself comfortable on the log and put out a call on 7.090. There were plenty of moss rocks to secure the legs of the antenna. My first contact was with Col VK5HCF who was QRP, using just 5 watts. This was followed by a steady flow of ‘Hunters’ for the next 30 minutes. It was great to get both Ron VK3AFW and Rik VK3KAN, who were both mobile with good signals. Other than Col who was QRP, I also spoke with Greg VK3FKAA who was operating QRP with 5 watts. Greg had a great 5/8 signal, and with my little set up I received a 5/9 in return. 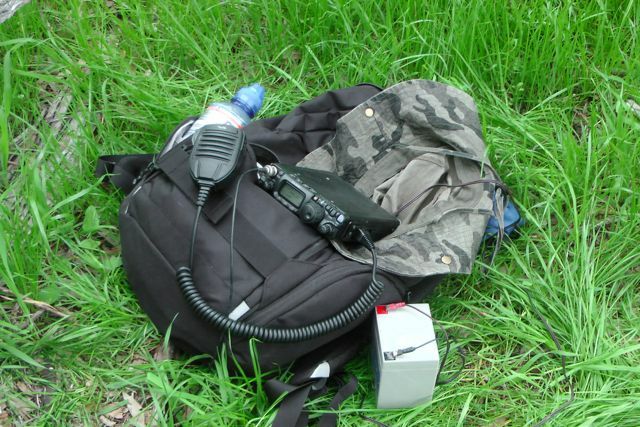 It’s always great to work QRP to QRP when activating a park or a summit. 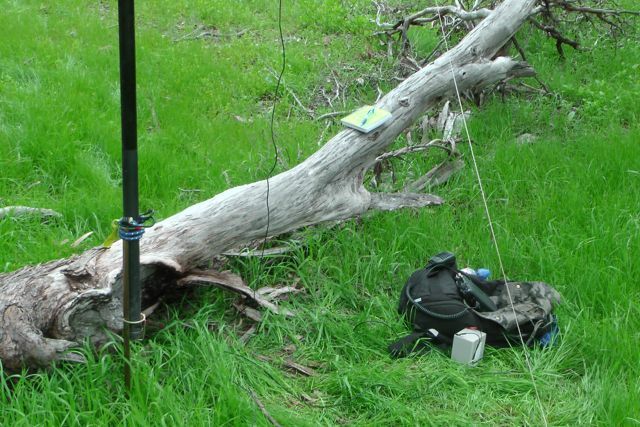 The noise floor is normally non existant, so 100 watts or more isn’t required by Chasers / Hunters in most instances. I enjoyed the sunshine and worked a total of 15 QSO’s on 40m SSB in 30 minutes. I was really happy with this, packed up and headed off to collect the key from Quorn, and then off to my accommodation at Orroroo about 100 kms away. The following stations were worked:- Col VK5HCF/qrp; Larry VK5LY; Nev VK5WG; Brian VK5FMID; Ron VK3AFW/m; Ed VK2JI; Colin VK3UBY; Ernie VK3DET; John VK5BJE; Rik VK3KAN/m; Rob VK2FROB; Greg VK3FKAA; Tony VK3CAT; John VK5FMJC; and Ron VK3JP.